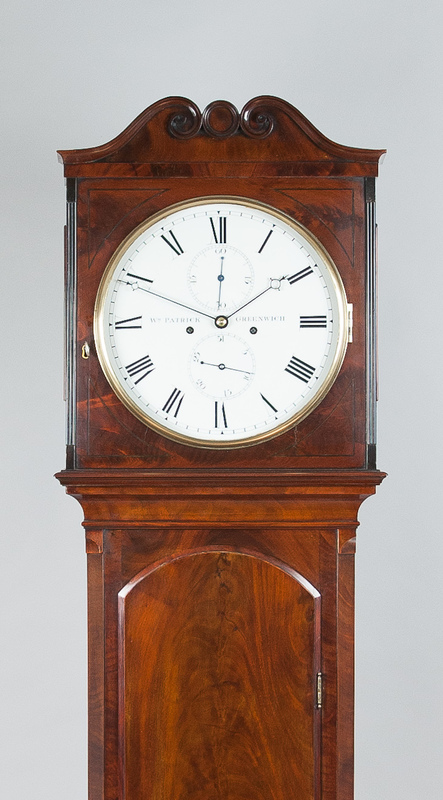 A fine quality flame mahogany Regency 8 day longcase clock by William Patrick of Greenwich - London. 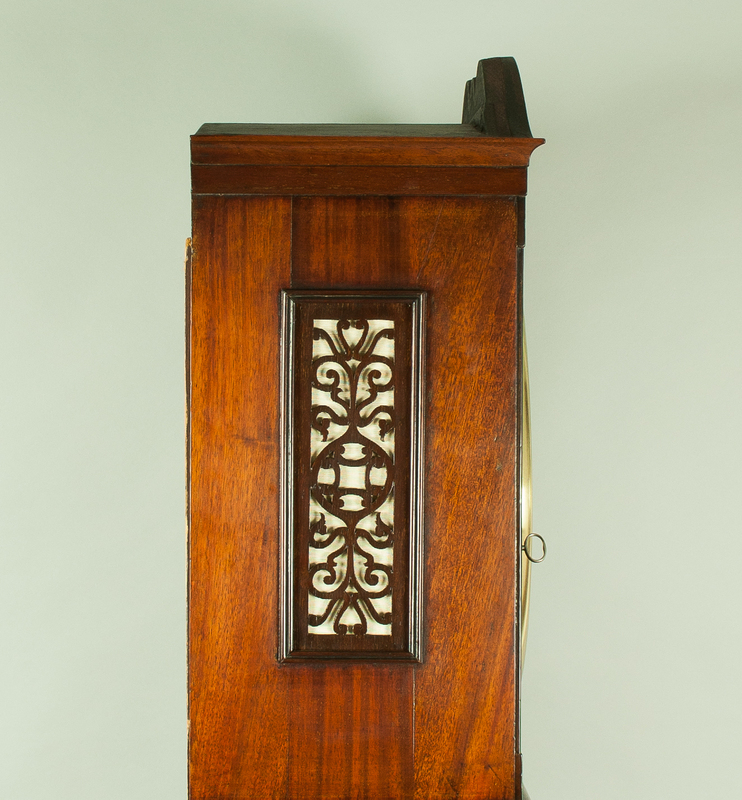 The high quality “Gentleman’s Library” style case veneered in beautifully figured flame mahogany, inlaid with ebony stringing. The shallow swan-neck pediment hood with cast brass bezel and sound frets to the sides. The long trunk door with choice curled mahogany veneers, flanked by canted columns. 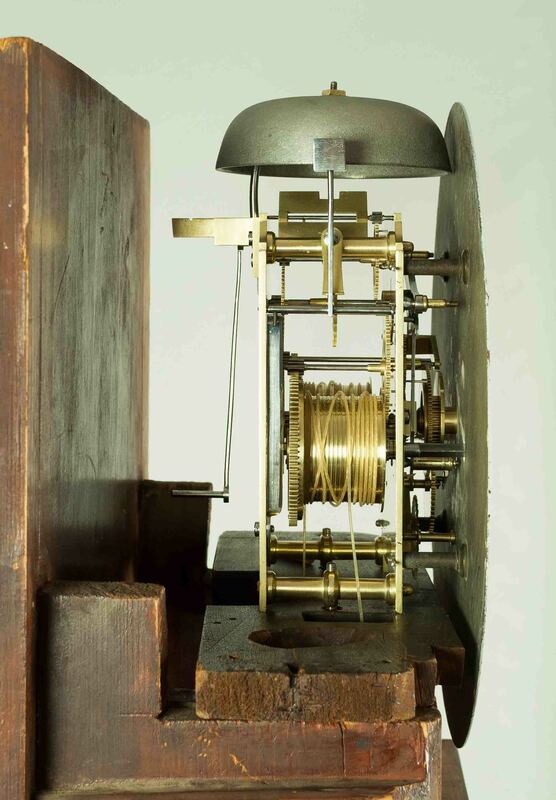 The box base with raised shaped moulding, surmounted on the original shaped plinth. 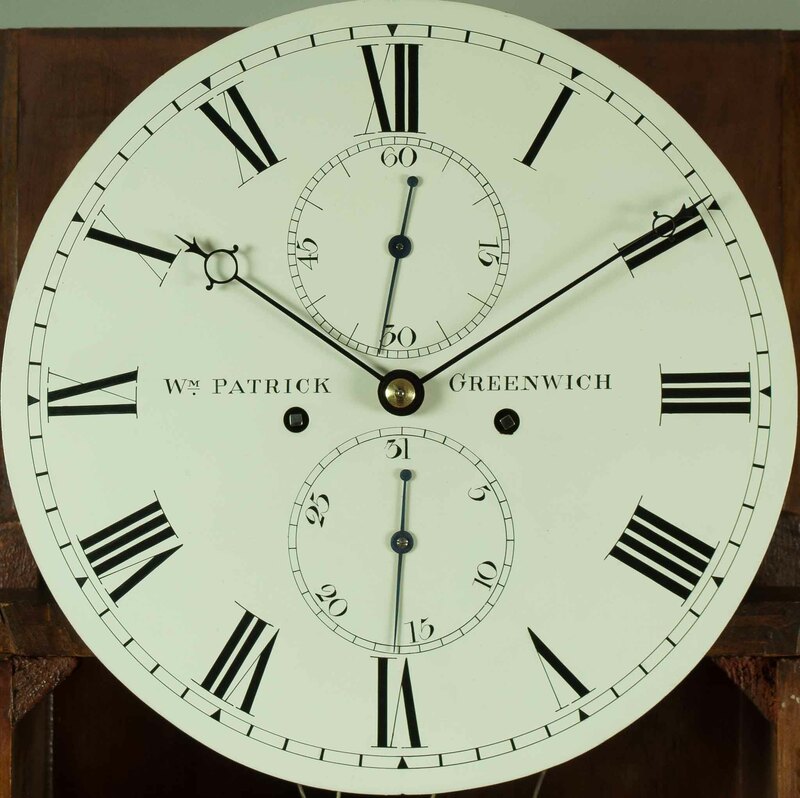 The circular painted white dial with subsidiary seconds and calendar zones, signed to the centre Wm Patrick Greenwich. 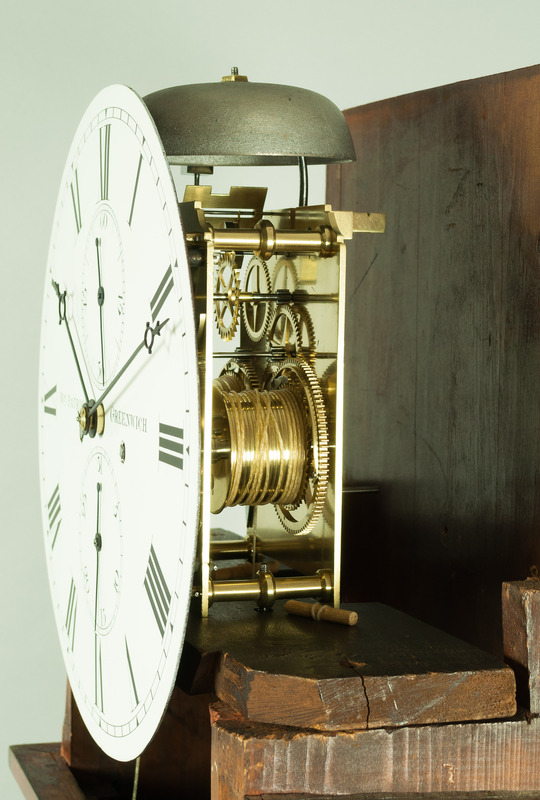 The high quality movement of eight day duration with shouldered and shaped plates united by four knopped pillars, anchor escapement and strikes the hours on a single bell. 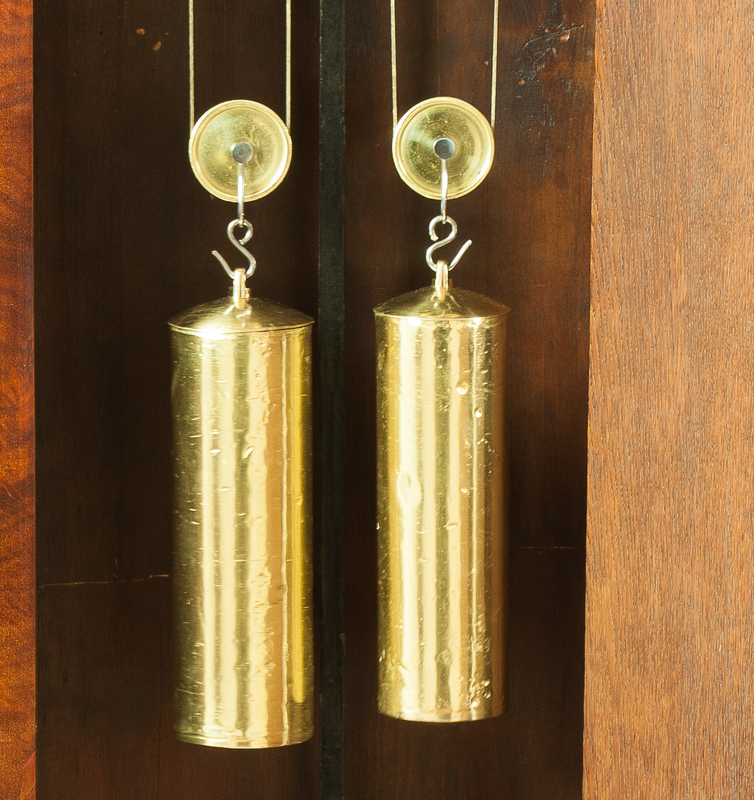 Original brass cased weights and substantial brass bob pendulum with steel strap and knurled rating nut.